"Our flag does not fly because the wind moves it, it flies with the last breath of each soldier who died protecting it." The fearless men and women at the Indian armed force stay far from their families and sacrifice their lives, so that we can be with our friends and family and rest calmly during the evening. No amount of gratitude would be enough to thank them for all they do for us. But, today in Kendriya Vidyalaya no.2 Delhi cantt. We all were filled with patriotism, when Col. R K Gill came to our school to have a brief talk to the students attending the Utsav. The first and second session were addressed by Col. R. K. Gill. He explained to us the importance of time management , he also told us effective ways to manage our time. He urged us to have aims in our lives and work hard to achieve them. He told us about how we can all make a timetable to study effectively. 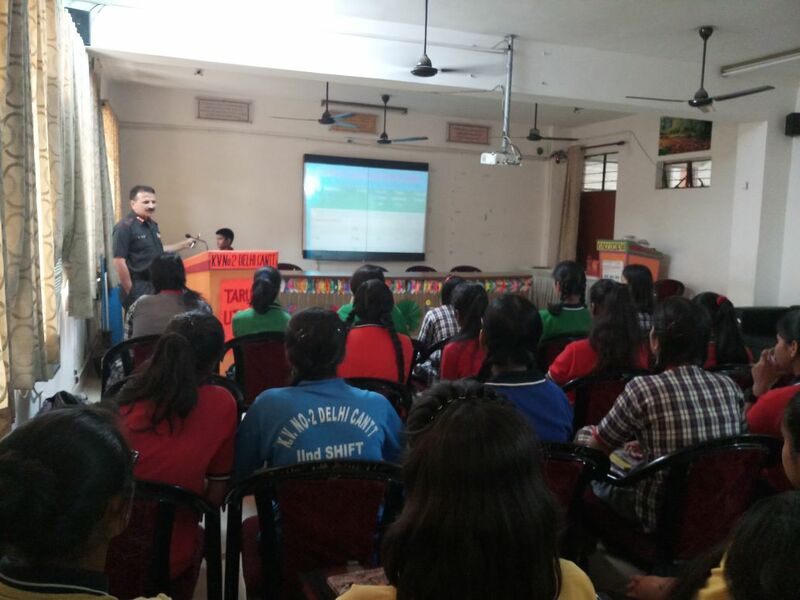 He also explained to us the various opportunities for girls and boys in the armed forces and para military forces in his second session. He also told us about what all the armed forces offer us as a career opportunity. The sessions by Col. R. K . Gill was very interesting and it made us all feel proud of our armed forces. 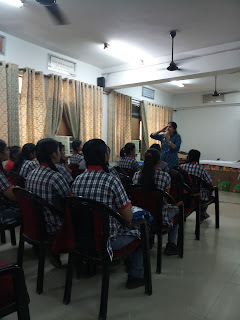 The third session was held by Pooja Kashyap mam ( W E Teacher). She explained the procedure to make flowers from organdi cloth . She also helped the students to make flowers. The fourth session was addressed by Jitendra kaushik (Yoga Instructor). He explained to us the benefits of doing yoga. He also explained to us about the career opportunities as a yoga instructor and the huge amount of mental satisfaction we would get in the job. "Personality has power to uplift, power to depress, power to curse, and power to bless. " Today, the first session was addressed by Jyotika Mam (Counsellor) . She explained us about personality development . She told us about different types of personality . She also explained to us which kind of personality best suits for that job. She also told us about how we can develop a charming personality. She explained what are good etiquettes and how we can develop a charming personality. In the second and third session we practiced dance and songs for the closing ceremony. We enjoyed it a lot. 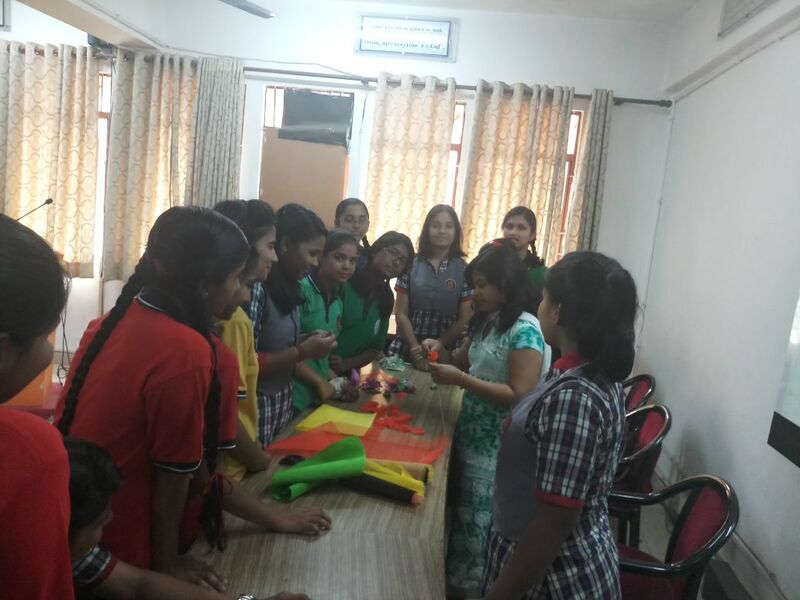 All the students participated in one or the other activity. In the fourth session we debated on the topic , "Whether America is doing right or not in Syria ?" In the presence of Kirti mam .Many students participated and shared their views on the topic. 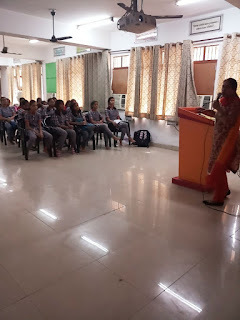 Today, was a very specialday as Mrs. Jayshree Mehta conducted a workshop for class 10th appeared students.The first session for the day was conducted by Jayshree mehta (Career counsellor from TOI). She told us about the importance of attitude over aptitude. She told us about various successful personalities and the qualities which made them successful in their lives. she told us a story ,"JOIN THE DOTS". We thank her for giving her valuable time for us and gracing us with her presence. counselling session being conducted by Jayshree mehta The second and third session of the day was the most interesting in which Japan mam (hospitality) taught us how to make sponge cake, mousse and tart . She also taught us different cooking techniques like cut and fold technique among few others. 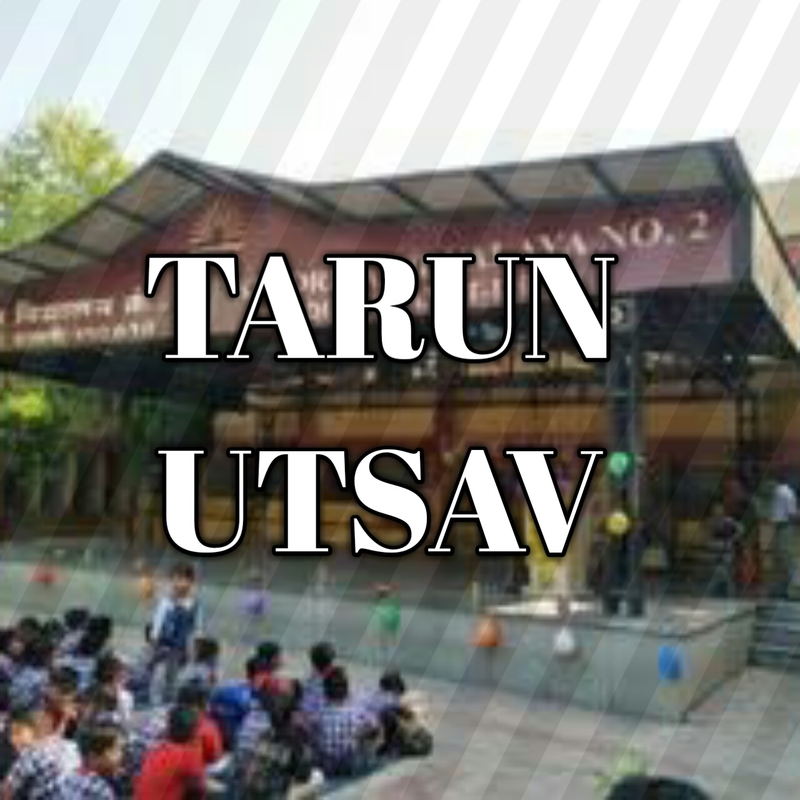 "The reflections of a day well spent furnish us with joys more pleasing than ten thousand triumphs"
Today was the sixth day of the Tarun utsav being celebrated in Kendriya Vidyalaya No.2 . 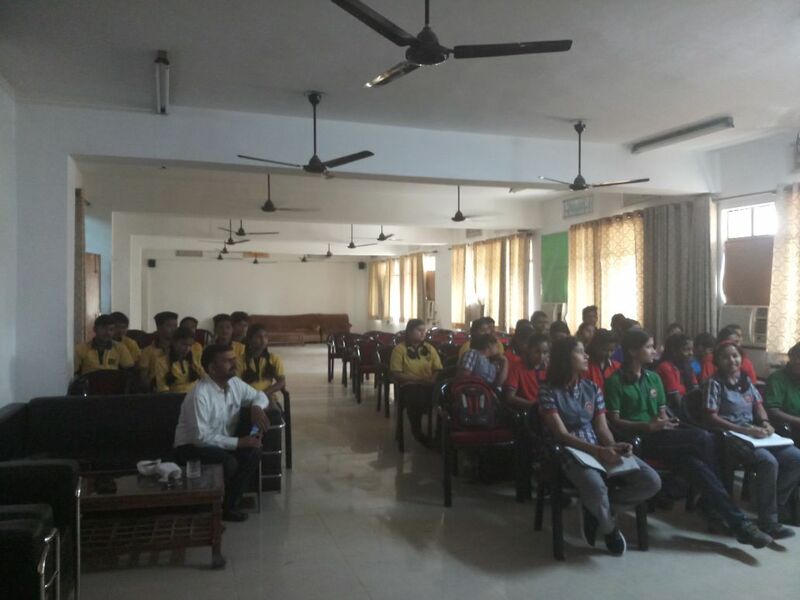 The first and second sessions were held under the guidance of Mohrana sir. 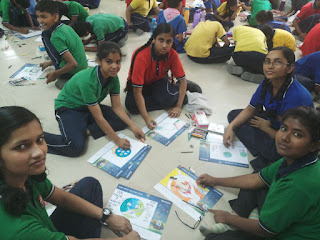 A drawing competition was held in these sessions on the topic Save Earth and Save Girl child. The third session was held by Jyotika mam. In the session we practiced dancing. We all enjoyed a lot. The fourth session was addressed by Munish sir (PGT,commerce). He told us about what all lies in the vast field of commerce. He also told us about the importance of commerce and it's vast application in making wide ranging transactions. Class on commerce being conducted by Munish sir.